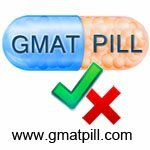 I plan to retake GMAT for the 4th time in the next few months. I have taken it 3 times this year, but my scores are stuck with a 700 range (Q 49-50 / V 34-36). I would value very much your experience and suggestions, especially those of you who have struggled with the test multiple times but persevered and scored a 730+ in the end, on how to work towards my target score of 730+. Any recommendations of good tutors, especially on verbal? If you have worked with a tutor who helped you reach the target score, I would love to hear from you! Also, I have noticed that the pricing in the GMAT tutoring market varies significantly, from $150/hr (e.g. Simply Brilliant) to a good $310/hr (e.g.GMAT Ninja). There is also this kind of score guarantee option that costs $10-25k (e.g. Test Prep Unlimited). Any insights on the driver of this huge discrepancy in pricing? Also, what are the most effective indicators of a good tutor? As you can see, I have used up most of the top rated materials, if not all. Feel free to suggest what has worked for you! For CR and RC, I would highly recommend using LSAT past exam papers. I scored V35 consistently, and switched to LSAT, doing 1 LR and 1 RC section a day. At first, it took me around 1.5 hour to complete LR section, and 20-40 minutes to complete 1 RC passage. I was able to decrease the times to 50 minutes and 10-15 minutes respectively. As a result, I was able to score 40+ on a real exam. For each incorrect answer, find Ron's brilliant explanations - he makes extensive explanations of every concept tested on GMAT. His videos are awesome too, check them out. Thanks Akela! Great to learn from your successful journey. I've noticed that most of the LSAT materials do not offer solutions. How did you get around this? There are several gmatclub like forums full of LSAT geeks. Paste the first sentence of the question, and several forums such as manhattanprep, powerscore and 7sage will pop up. For example, paste the beginning of this problem https://gmatclub.com/forum/a-study-was- ... 80382.html and google it. Pricing for hourly tutoring can add up. If you are OK with this, this could provide the personal attention if that's what you want. Otherwise, generally an online video course can oftentimes be more effective at less cost. Questions are free to use - but video solutions require a paid membership. You asked about LSAT questions above - I'm assuming for critical reasoning purposes. Consider the approach of using quick mental diagrams as you read passages to make sense of the logic between the major points of a passage. I don't see question pack 1 on your list. You could add that (and the exam packs, if you've taken only the free GMATPrep practice tests). Old OG questions could also come in handy. Wow, AjiteshArun, that verbal score... I'm impressed! Thanks for the advice. I'll check them out.